Hello everyone! Jenn here today sharing a fun little mini tag album I created using amazing Tutti Designs Dies! I have used this great die set. 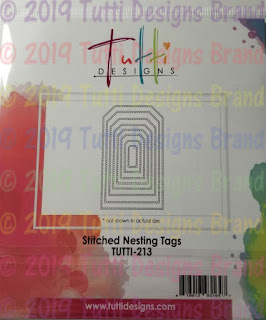 A must have for us that like to make tags! It comes with 8 different sizes! For this album we will use the two largest from the set to create an album that will measure 3.30" X 5.10" when finished. First, using the largest die cut three from a lighter weight white chipboard. Then cut 6 ( i cut more and then picked the ones I liked most) of the second largest die from coordinating paper collection. 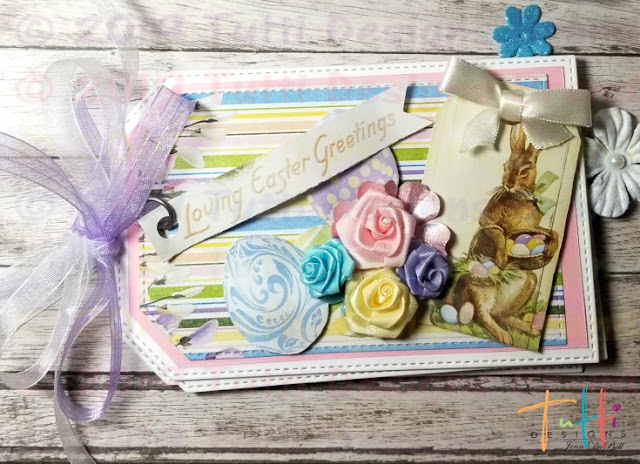 I have used an Easter themed collection from BoBunny titled Cottontail. I wanted to mat my pages before adding the die cuts. Using coordinating pink, blue, and lavender card stock i did the following in the collage below. 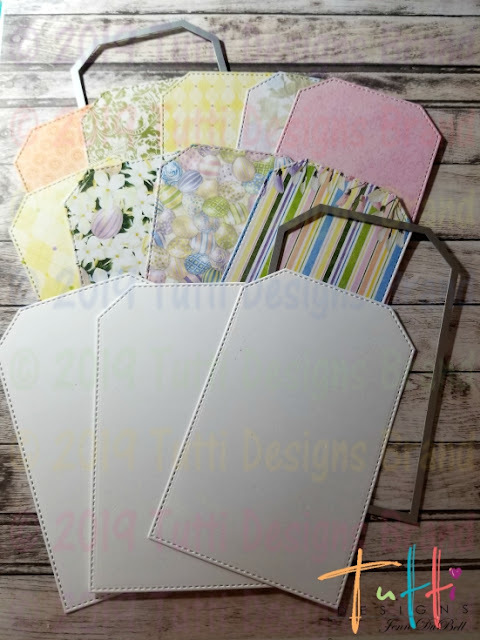 Now adhere these to the fronts and backs of the three large chipboard die cuts from the first step. Finally adhere the patterned die cuts to each page. Embellish the pages with cut aways, fussy cuts, etc. For my album I used cut aways and only adhered them at the bottom to create tuck spots on the pages. 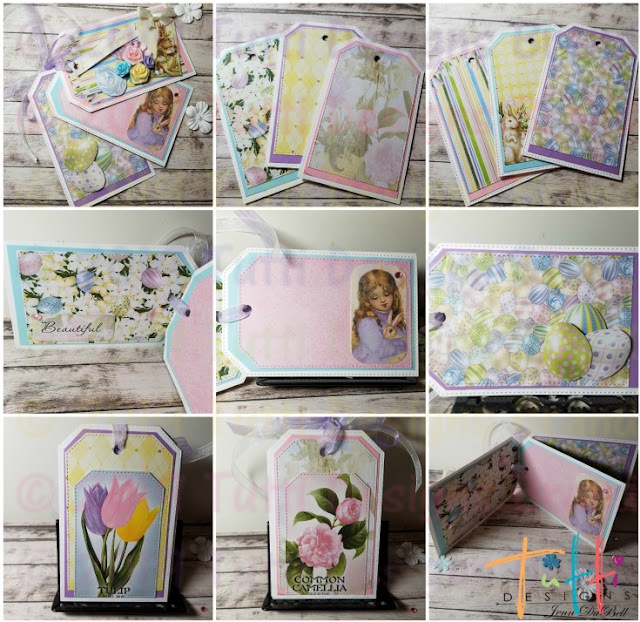 These are great to add treats, gift cards, mementos or small photos! Below is a collage showing all of my pages and embellishments to each. 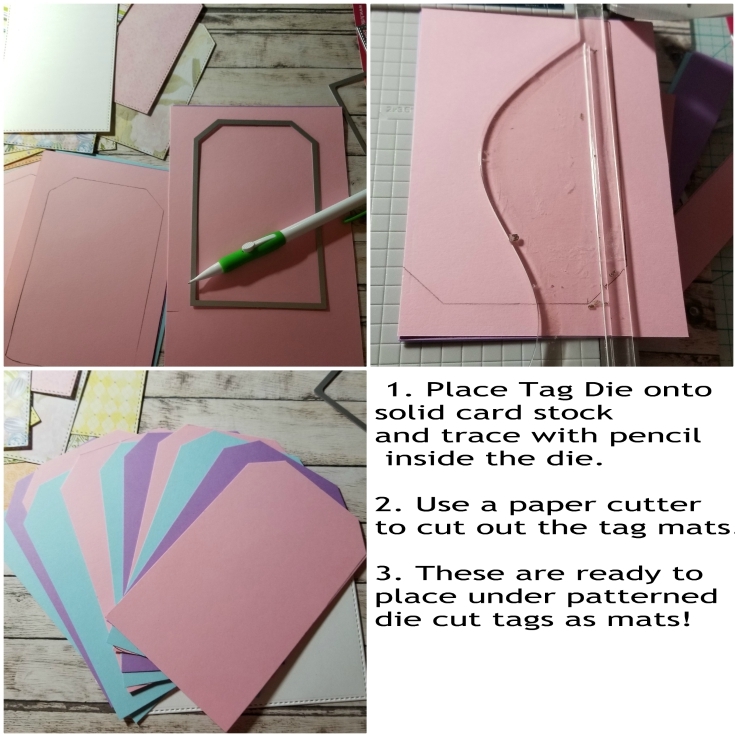 Punch holes in completed tags and thread with ribbon or use a binder ring to create the album.